My little Emilia is now two-and-a-half so I was on the hunt for a change from my Bugaboo Cameleon and something that didn’t take up quite so much room. My friend had recently purchased a Stokke Xplory and hasn’t stopped praising it, but I opted for the slightly smaller Stokke Scoot known for its city handling. I love the look of the Scoot – stylish, well designed and smart it comes in really beautiful colour combinations – that was probably the hardest decision choosing the colour! I opted for the Aqua Blue, which looks fresh and is good for boys or girls – I love the contrast with the soft grey canopy. It has some great features like the moveable foot rest, which is perfect as your little one grows. It’s simple to adjust the two-way seat, which makes life easier for me as Emilia is pretty indecisive at the moment. You also know when everything is clicked into place properly by the handy green safety button on the side (green for go, and red for stop!). 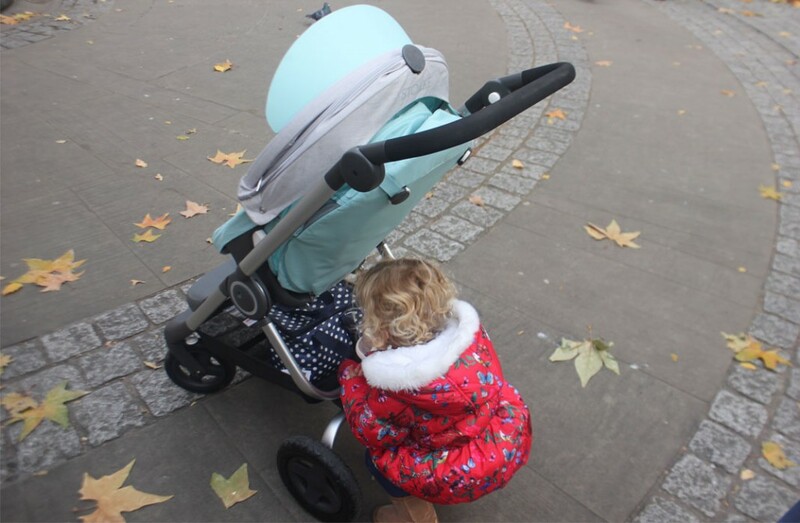 The Scoot can be folded with one hand in one swift movement and is much smaller when collapsed than other comparable price-point buggies, which means it only takes up half of my boot rather than all the space! It’s also freestanding when folded, which is handy when out and about, going for lunch etc. 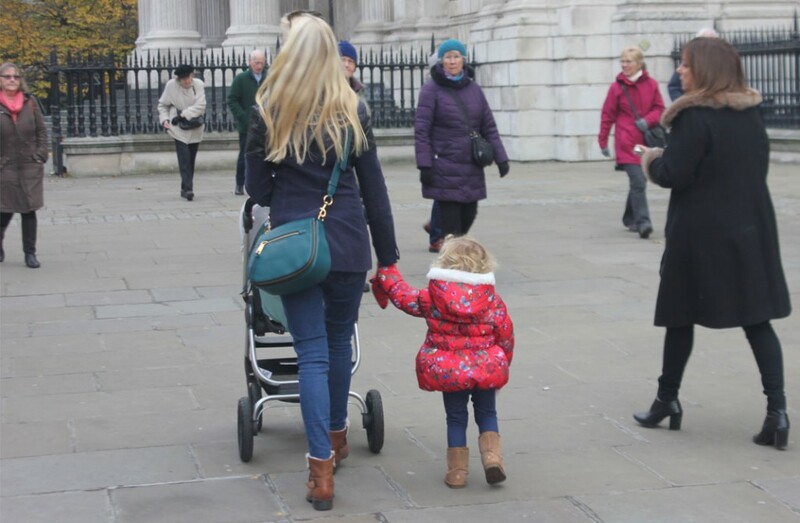 It is pretty heavy, when carting around but as to be expected with such a robust stroller. I love that it can be folded without having to remove the seat. There also plenty of storage underneath with the basket, I guess my only negative with the storage is that it isn’t covered but that can be easily solved by putting a blanket over the top! The foam filled tyres make it light to manoeuvre, especially when negotiating pavements and public transport. You can either lock or unlock the front tyres, so it handles corners well too. While the handle can be adjusted based on comfort for the driver! Emilia seems very comfortable and snug in the Scoot. The three seating positions means there’s a position for being active, resting or sleeping – adjusted by clips on the back of the seat. 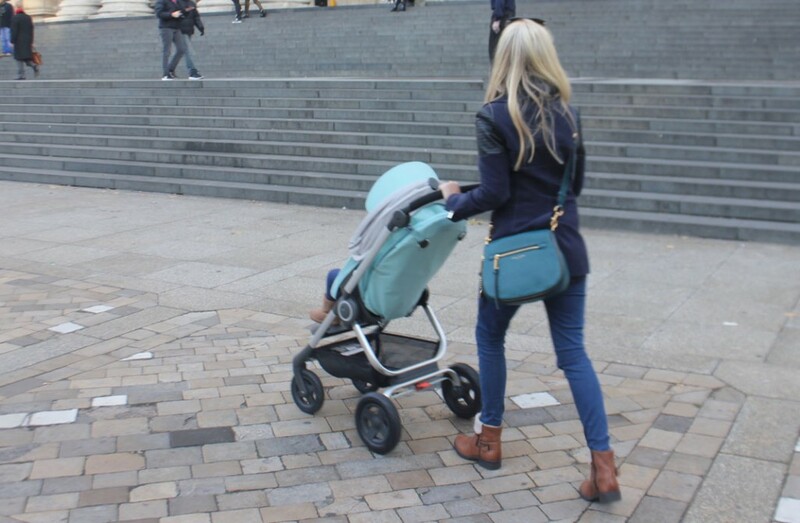 The Stokke Scoot is a great companion for strolling around town with Emilia and is a really well thought out parenting product – it ticks all the boxes and is so easy on the eyes!